Takeaway: There is almost always a gap between what you intend to say, and how people interpret what you say. Knowing that you’re always “on the record” is a great way of reminding yourself of this, so you can speak more mindfully and productively. Estimated Reading Time: 4 minutes, 33s. Here’s the tough part about communicating: there will always be a gap between what you intend to say, and how what you say is interpreted. The best leaders, media personalities, and writers are great at making this gap as small as possible—but until we can master telepathy, it will be impossible to close it completely. This is what makes speaking well (and writing well) so difficult. Both channels are essentially inefficient ways of getting thoughts out of your head and into somebody else’s. Everyone interprets what you say differently—but at the same time, these methods are the best we’ve got. Since launching my book, I’ve participated in a lot of media interviews—by my current count, I’ve done about 100! But here’s what they don’t tell you about interviews: unless you and a journalist agree ahead of time that something you say is “off the record,” it’s on the record, even if you’re just chatting before the interview starts. Whoever you’re chatting with can, and often will quote what you said if it’s interesting enough, and makes for a better or more controversial story. Luckily, I’ve never been burned by this; unless I’m shooting the breeze with friends, I try to filter what I say as best as possible, so what I say is interpreted correctly. But there were a few times when an interviewer and I have been having an informal chat, and I’ve said things that I wouldn’t have said if I had been mindful that I was on the record. Nothing scandalous—just things I wouldn’t want to have misinterpreted, because the gap between what we say and how it’s interpreted can be so large. After I was caught off guard by this once or twice, a thought occurred to me: if what I said could have been so easily misinterpreted, why did I say it in the first place? To paraphrase the old quote, it would have been better to say nothing, than to have spoken and not improve upon the silence. The key, I’ve found, is to not speak on autopilot. It’s a natural impulse for many people, myself included, to fill silence. This depends on the context, of course—for example, whenever I take a carpool to a silent meditation retreat, the silence is anything but awkward. It’s almost cherished. Even though we’ll be spending days living in total silence with one another, silence is a substance so rare in everyday life that in an environment where it’s not awkward, we borderline relish in it. The same holds true with a few select relationships and friendships in my life. Lately I’ve been thinking a lot about this idea, and how, as long as we’re with other people, everything we say is essentially on the record. 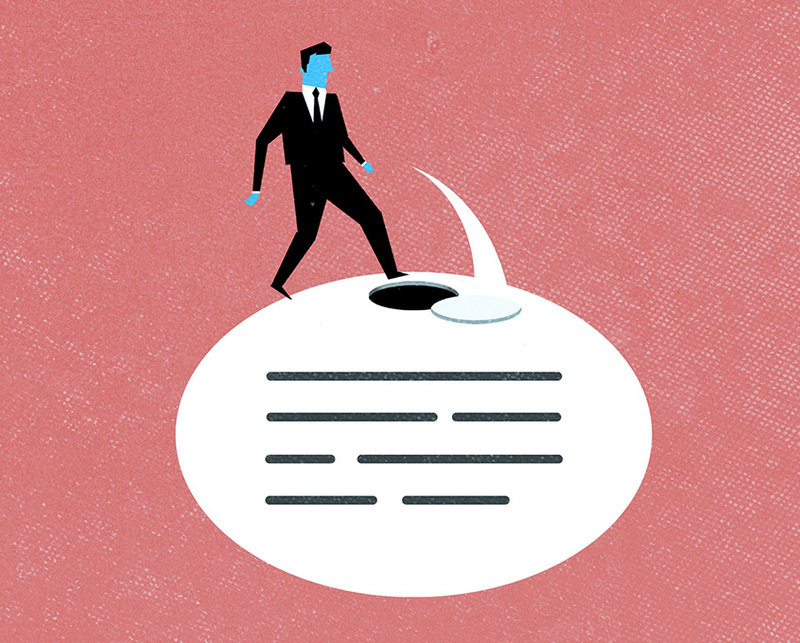 Whenever we speak to other people—whether in a meeting, phone call, or media interview—our words affect the people we’re talking to in one way or another, particularly if we don’t mind the communication gap. No two combinations of words are created equal—every single thing we say either improves upon silence or detracts from it; is helpful or harmful; is productive or unproductive; or is said with good intentions or bad intentions. Of course, this is common sense. Of course it’s hard to communicate what we intend to, of course silence can be awkward, and of course we should be careful that we filter what we say. But common sense isn’t always common action—and that’s what makes this awareness so important. It’s worth becoming more aware of what you say and questioning whether it improves upon silence. It’s worth forming small intentions for what you intend to say before you speak impulsively. And it’s worth thinking ahead to tough conversations, so you can communicate what your intentions as clearly and as helpfully as possible, so it’s not misinterpreted. This doesn’t just lead to stronger relationships—it can also save you a ton of time, in fewer misunderstandings and disagreements. While it’s impossible to untangle the myriad benefits of the mindfulness practice he introduced—like the fact that the employees were probably less stressed, and were able to focus much better—that increase in productivity was also likely due in part to better communication between those 12,000 people. They could speak more intentionally and mindfully and make more of an effort to think about how their words were interpreted. Perfect communication is impossible, and this gap will always exist. But the effects of this gap are also ample reason to consider how our words will be interpreted before we say them. When we don’t speak intentionally, that gap can turn into a chasm—but when we consider how our words will be interpreted, we can make the gap as small as possible. The best way I’ve found to do this has been to remind myself that I’m “always on the record,” regardless of who I talk to. This has forced me to perk up, and remember to speak and listen actively, instead of on autopilot.